Discover flavours you've never tasted before with the electric mill from WMF. Freshly grind whole herbs and use the intense aromas to add extra flavour to your dishes. Ready-ground herbs that you buy in the supermarket, all neatly packed in small sachets, often do not even begin to compare with the fragrance and flavour of the original herbs. If you would rather taste the full flavour, you should work with high-quality herbs and spices in the kitchen. Whether salt and pepper, basil and marjoram or parsley and juniper – each herb or spice releases its most intensive aroma when freshly ground just before use. To avoid having to grind everything by hand, choose the electric mills from WMF, which work at the push of a button. The popularity of the WMF mills is largely attributable to the efficient Ceramill® ceramic grinding mechanism. This grinding mechanism, which represents true German quality workmanship, is so robust that it shows almost no signs of wear and tear even after many years of use. You are not just guaranteed a long service life, but excellent grinding results as well. The electric grinding mechanism is driven by a powerful electric motor, which allows an excellent grinding throughput. Using the adjusting wheel on the grinding mechanism, you can decide on the size of the grind – from powder to coarse granules. The motor is operated by a rechargeable battery or by disposable batteries to ensure that you will always have freshly-ground herbs the easy way at the press of a button. There's no more need to waste energy grinding by hand. The WMF salt and pepper mills are perfectly designed right down to the smallest detail. The start button, which is located at the top on all models, lets you operate the mills with one hand.. WMF has also developed a model that starts itself – the grinding mechanism activates as soon as you tilt the pepper mill. It does not matter which spices you grind with an electric mill – all models are equally suitable for salt, pepper, herbs and spices. You also have a free choice of mills when it comes to looks. The spice mills are available mainly in a modern design made of hygienic Cromargan® stainless steel. The models are often fitted with a glass insert, which enhances their appearance significantly and also allows you to control their fill level.  Discover WMF's wide range of mills now!